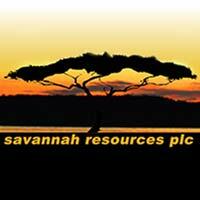 Savannah Resources plc (LON:SAV), the AIM quoted resource development company, has today announced that it has appointed experienced lithium consulting engineers Primero Group to lead the Feasibility Study for the development of the Mina do Barroso Lithium Project in Portugal. The Feasibility Study will continue to develop Mina do Barroso to a level of detail adequate to support project financing. The study will cover the project setting, geology and resource definition, mining, metallurgy, processing, infrastructure, market review, capital and operating cost estimates, financial modelling, human resources, environmental, social aspects, project approvals, project risk review and project development plans. Primero will take the lead role in the development of the Feasibility Study and will be supported by various sub-consultants that will provide specialist design services for specific areas of the project. Primero is a leading provider of diversified engineering services to the global resources industry, who specialise in the design, construction, operation and maintenance of mineral processing facilities and their associated infrastructure. Primero has multi-disciplinary engineering teams with a deep understanding of lithium projects and will apply this know-how to support the development of Mina do Barroso. Primero brings valuable hard rock lithium experience to the Project, having been engaged on recent lithium projects in Australia, North America and South America at both the study and EPC project delivery level.